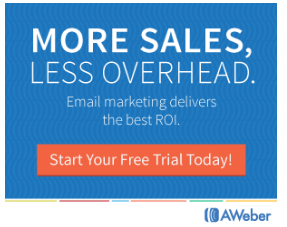 An email autoresponder is a service that manages your email lists. It helps to automate your business and efficiently communicate with your prospects and customers. Self-managing your list on your own computer is risky because if your recipients start sending spam complaints, your ISP will shut you down. Once you set up your autoresponder, it can run by itself with little additional effort on your part. Learn how to use attraction marketing to transform your online presence so you can begin attracting your perfect target market. Learn how to effectively use social media to create credibility & likability. Learn how to begin peaking curiosity to generate online leads. Come up with a marketing strategy that best fits you and your needs. Create a daily routine to fit your schedule. Access to our Facebook group where you can meet and get to know other like-minded entrepreneurs. You are also able to ask questions and gain knowledge from top industry leaders. Overall, it’s a pretty amazing community. 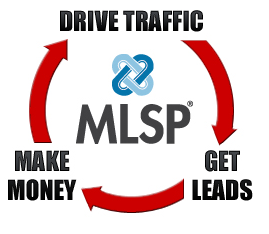 In order to get coaching, you will need to join My Lead System Pro since this is the platform I use and also where you will go for specific training. Please contact me with any questions! Also, keep in mind that branding and marketing take time! Therefore, consistency, patience, and work are required for results and that ultimately you and you alone are responsible for your own success. The membership to MLSP is on a month to month basis and can be canceled at any time so you are never under any contract or obligation. However, personal development is something you should take seriously as an entrepreneur. Blogging should be the cornerstone of your marketing because it's where people can come check you out, consume your valuable content, and begin to build a relationship with you. When that happens, you will start to gain trust. And when that happens, you are on your way to building a business that can set you free. 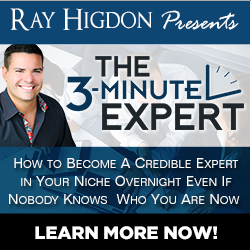 Add ‘3 Min Expert – Attraction Marketing Edition' to your digital training library, and start blogging your way to freedom today!